Search engine optimization (SEO) is the process of improving the visibility of a website or a web page in search engines’ “natural,” or un-paid (“organic” or “algorithmic”), search results. In general, the earlier (or higher ranked on the search results page), and more frequently a site appears in the search results list, the more visitors it will receive from the search engine’s users. SEO may target different kinds of search, including image search, local search, video search, academic search, news search and industry-specific vertical search engines. 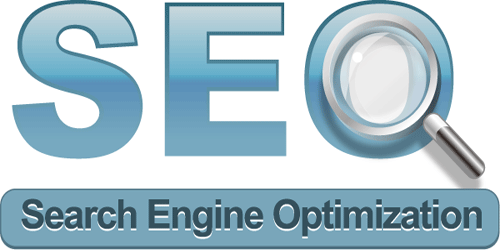 The acronym “SEOs” can refer to “search engine optimizers,” a term adopted by an industry of consultants who carry out optimization projects on behalf of clients, and by employees who perform SEO services in-house. 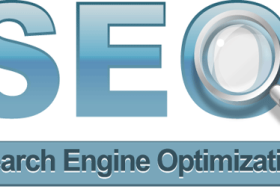 Search engine optimizers may offer SEO as a stand-alone service or as a part of a broader marketing campaign. Because effective SEO may require changes to the HTML source code of a site and site content, SEO tactics may be incorporated into website development and design. The term “search engine friendly” may be used to describe website designs, menus,content management systems, images, videos, shopping carts, and other elements that have been optimized for the purpose of search engine exposure. By relying so much on factors such as keyword density which were exclusively within a webmaster’s control, early search engines suffered from abuse and ranking manipulation. To provide better results to their users, search engines had to adapt to ensure their results pages showed the most relevant search results, rather than unrelated pages stuffed with numerous keywords by unscrupulous webmasters. Since the success and popularity of a search engine is determined by its ability to produce the most relevant results to any given search, allowing those results to be false would turn users to find other search sources. Search engines responded by developing more complex ranking algorithms, taking into account additional factors that were more difficult for webmasters to manipulate. Graduate students at Stanford University, Larry Page and Sergey Brin, developed “Backrub,” a search engine that relied on a mathematical algorithm to rate the prominence of web pages. The number calculated by the algorithm, PageRank, is a function of the quantity and strength of inbound links. PageRank estimates the likelihood that a given page will be reached by a web user who randomly surfs the web, and follows links from one page to another. In effect, this means that some links are stronger than others, as a higher PageRank page is more likely to be reached by the random surfer. In February 2011, Google announced the “Panda update, which penalizes websites containing content duplicated from other websites and sources. Historically websites have copied content from one another and benefited in search engine rankings by engaging in this practice, however Google implemented a new system which punishes sites whose content is not unique. By 1997, search engines recognized that webmasters were making efforts to rank well in their search engines, and that some webmasters were evenmanipulating their rankings in search results by stuffing pages with excessive or irrelevant keywords. Early search engines, such as Altavista andInfoseek, adjusted their algorithms in an effort to prevent webmasters from manipulating rankings. Companies that employ overly aggressive techniques can get their client websites banned from the search results. In 2005, the Wall Street Journalreported on a company, Traffic Power, which allegedly used high-risk techniques and failed to disclose those risks to its clients. Wired magazine reported that the same company sued blogger and SEO Aaron Wall for writing about the ban. Google’s Matt Cutts later confirmed that Google did in fact ban Traffic Power and some of its clients. Suppose each circle is a website, and an arrow is a link from one website to another, such that a user can click on a link within, say, website F to go to website B, but not vice versa. Search engines begin by assuming that each website has an equal chance of being chosen by a user. Next, crawlers examine which websites link to which other websites and guess that websites with more incoming links contain valuable information that users want. Search engines uses complex mathematical algorithms to guess which websites a user seeks, based in part on examination of how websites link to each other. Since website B is the recipient of numerous inbound links, B ranks highly in a web search, and will come up early in a web search. Further, since B is popular, and has an outbound link to C, C ranks highly too. A variety of methods can increase the prominence of a webpage within the search results. Cross linking between pages of the same website to provide more links to most important pages may improve its visibility. Writing content that includes frequently searched keyword phrase, so as to be relevant to a wide variety of search queries will tend to increase traffic. Updating content so as to keep search engines crawling back frequently can give additional weight to a site. Adding relevant keywords to a web page’s meta data, including the title tag and meta description, will tend to improve the relevancy of a site’s search listings, thus increasing traffic. URL normalization of web pages accessible via multiple urls, using the “canonical”meta tag or via 301 redirects can help make sure links to different versions of the url all count towards the page’s link popularity score. SEO is not an appropriate strategy for every website, and other Internet marketing strategies can be more effective, depending on the site operator’s goals. A successful Internet marketing campaign may also depend upon building high quality web pages to engage and persuade, setting up analytics programs to enable site owners to measure results, and improving a site’sconversion rate. SEO may generate an adequate return on investment. However, search engines are not paid for organic search traffic, their algorithms change, and there are no guarantees of continued referrals. Due to this lack of guarantees and certainty, a business that relies heavily on search engine traffic can suffer major losses if the search engines stop sending visitors. Search engines can change their algorithms, impacting a website’s placement, possibly resulting in a serious loss of traffic. According to Google’s CEO, Erick Schmidt, in 2010, Google made over 500 algorithm changes – almost 1.5 per day. It is considered wise business practice for website operators to liberate themselves from dependence on search engine traffic. Seomoz.org has suggested that “search marketers, in a twist of irony, receive a very small share of their traffic from search engines.” Instead, their main sources of traffic are links from other websites. Optimization techniques are highly tuned to the dominant search engines in the target market. The search engines’ market shares vary from market to market, as does competition. In 2003,Danny Sullivan stated that Google represented about 75% of all searches. In markets outside the United States, Google’s share is often larger, and Google remains the dominant search engine worldwide as of 2007. As of 2006, Google had an 85-90% market share in Germany. While there were hundreds of SEO firms in the US at that time, there were only about five in Germany. As of June 2008, the marketshare of Google in the UK was close to 90% according to Hitwise. That market share is achieved in a number of countries.